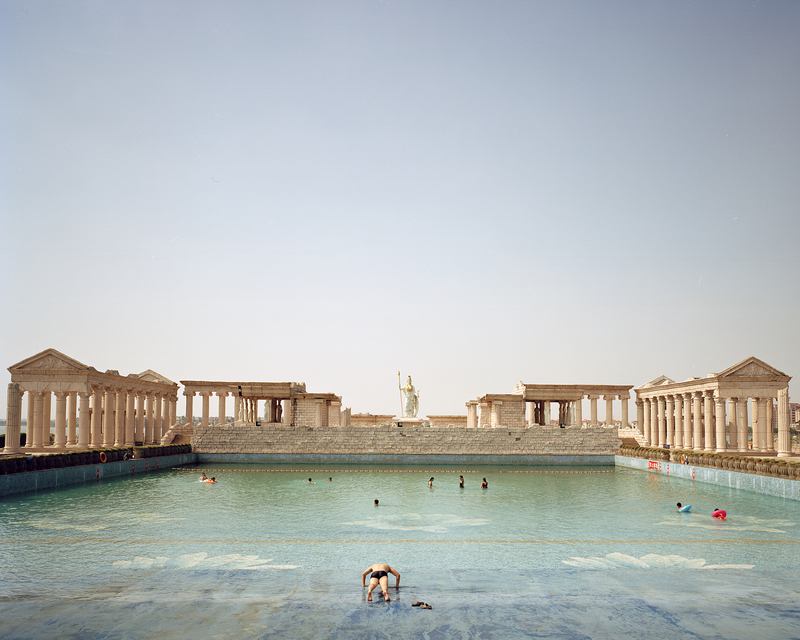 This month, five photo galleries explore different aspects of public and private space in contemporary China. Wu Yue meets a couple who swam to Hong Kong from Guangzhou during the Cultural Revolution and still find solace in the waters of Hong Kong’s habor; Chin-Chen followed several job seekers in a Shenzhen talent market; Yang Yifan captures the talismans made by students preparing for China’s college entrance exam; Li Jing and Huangfu Tianxing go inside decrepit Beijing apartments built in the 1950s; and Chen Ronghui makes shimmering, surrealist landscapes of the country’s theme parks. In the early morning at the San He Talent Market in the factory-filled district of Long Hua on the outskirts of Shenzhen, a group of young drifters start to check the job boards looking for day-pay work that could be anything from passing out brochures on the street, serving as a paid audience member at a marketing event, or even renting out their national identity card for the day—or selling it on the black market. If they get paid, they bunk at cheap hostels. If they don’t, they spend the night at an Internet café. It’s hard to make long-term plans. 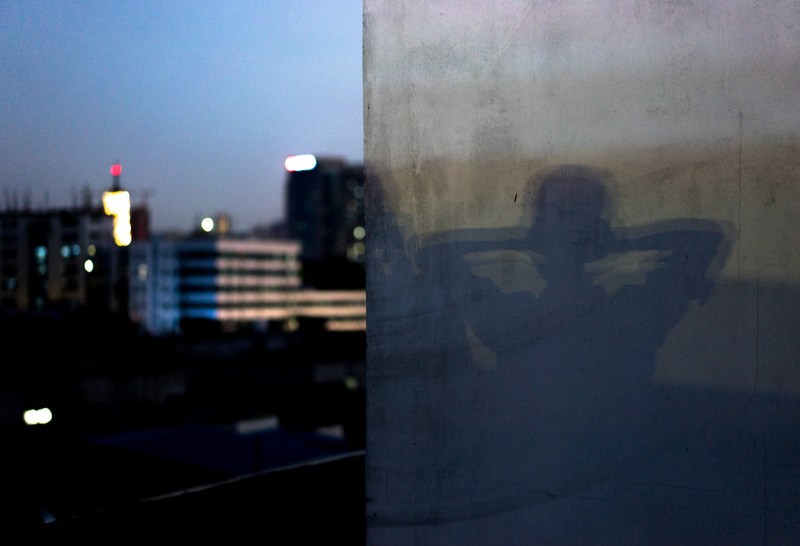 The subjects of the photos have come here for different reasons and wind up developing different feelings about whether they should stay or leave. During the chaos of China’s Cultural Revolution, Chan Hak Chi and his wife Li Kit Hing swam for six hours from Guangzhou to Hong Kong. The date was July 16, 1973, the day the couple celebrates as their wedding anniversary. 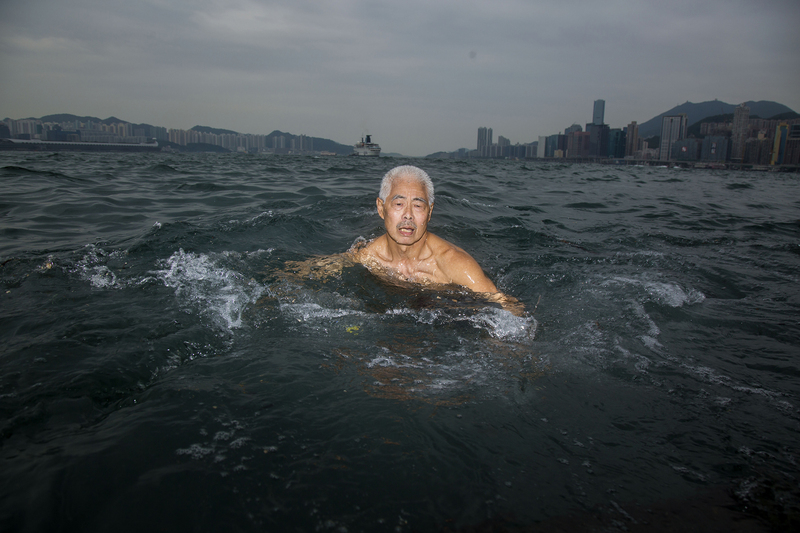 Chan, pictured above, continues to swim everyday in his adopted Hong Kong, some 44 years later. In June, across China, high school seniors are close to graduating. Lucky students will attend college in the fall, but first they must pass the annual gaokao, the notoriously difficult national college-entrance exam. This single exam determines which college they will go to and whether they will go at all. For many students from low-income families or from rural areas, the gaokao is the straightest route to a better future. To encourage themselves to make it through the grueling months of test prep, students write, or sometimes carve messages of inspiration—“stay calm,” “don’t daydream”—into their desks. 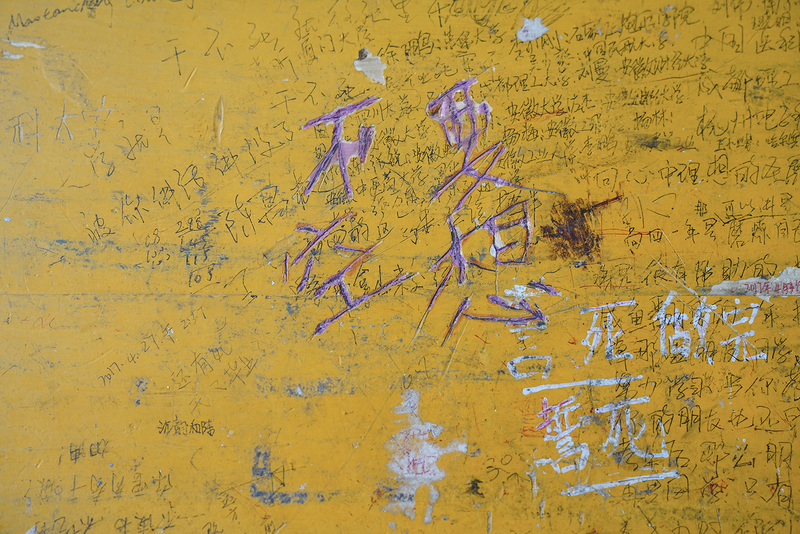 Photographer Yang Yifan mixed images of these notes with portraits of students in an effort to depict what was on their minds. Built in 1960, the nine-story Anhua Building was one of three apartment buildings in Beijing constructed explicitly to foster an experiment in communal living. The building has shared kitchens and a canteen, and common entertainment areas. The amenities were much better than average—including an elevator—at that time, but the rent was also higher. Many of the tenants were élites. However, with China’s rapid transition, the “Utopian model” was left behind and people gradually found the design of the building more troublesome than beneficial. 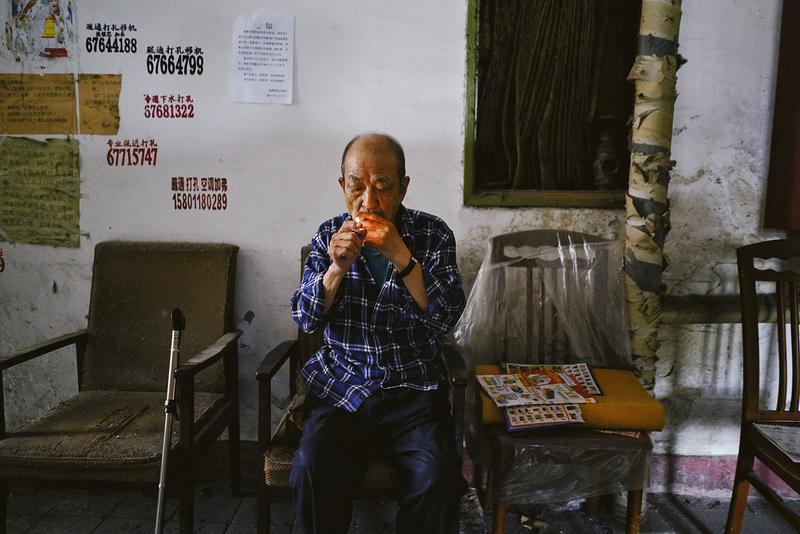 Photographers Li Jing and Huangfu Tianxing spent some time with tenants in the Anhua Building to hear about their nostalgia, their worries, and their attachment to their home.